Brachytherapy-based radiotherapy and radical prostatectomy produced similar survival results for men with high-risk, localized prostate cancer, according to findings published in the Journal of Clinical Oncology. Investigators found no statistically significant difference in survival between radical prostatectomy (RP) alone and external beam radiotherapy (EBRT) plus brachytherapy with or without androgen deprivation therapy (ADT) after adjusting for imbalances in prostate cancer prognostic factors, other medical conditions, and socioeconomic factors (HR, 1.17; 95% CI, 0.88-1.55). However, EBRT plus ADT was associated with higher mortality than prostatectomy (HR, 1.53; 95% CI, 1.22-1.92). 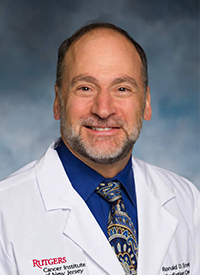 “This finding reinforces the need for patients to seek opinions from both a urologic oncologic surgeon with expertise in RP and a radiation oncologist with expertise in brachytherapy,” wrote first author Ronald D. Ennis, MD, department of radiation oncology, Rutgers Cancer Institute of New Jersey, Robert Wood Johnson University Hospital, and colleagues. “Furthermore, this finding reinforces the importance of complications, particularly in the urinary, sexual, and bowel domains, in combination with patient priorities and preferences, in determining an individual patient’s optimal choice…In the absence of randomized trials, these data, in conjunction with patient-reported quality of life, should be shared with patients to help guide their individualized treatment decisions,” added Ennis et al. Investigators evaluated outcome data collected in the National Cancer Database on 42,765 patients diagnosed with high-risk localized prostate cancer from 2004 to 2013. Eligible patients were required to have clinical stage N0 and M0 adenocarcinoma of the prostate; known clinical T stage, pretreatment PSA level and biopsy Gleason score; and were classified as high risk on the basis of either clinical T stage T3 or greater, or biopsy Gleason score of 8 to 10, or pretreatment PSA >20 ng/dL. Patients were treated with radical prostatectomy (n = 24,688), EBRT plus ADT (n = 15,435), or EBRT plus brachytherapy with or without ADT (n = 2642). Investigators had hoped to include patients whose prostatectomy was aborted because of pelvic lymph node metastases in the radical prostatectomy cohort to simulate an intention-to-treat analysis. They could not accurately identify these patients, so they instead created a logistic regression model using PSA, Gleason score, and clinical T stage from 2108 patients to predict pathologic lymph node metastases as a way to adjust for pathologic lymph node status. That model was applied to all patients. Those above the 80th percentile in this model were considered to be pathologic lymph node positive. They then compared the modeled pathologic lymph node status with the actual lymph node status for patients who underwent a lymph node dissection. The model incorrectly designated 1.3% of patients with node-positive disease as node negative and 0.5% with node-negative disease as node positive. Investigators adjusted the threshold to the 70th or 90th percentile, and determined the results of the IPTW Cox models were not significantly different. In the first, they split the EBRT plus ADT treatment group into 2 groups by the radiation dose (≥7920 cGy vs <7920 cGy) to assess whether the radiation dose affected the treatment effect of EBRT plus ADT. The estimated HR was 1.33 (95% CI, 1.05-1.68) for the ≥7920 cGy subgroup compared with the radical prostatectomy group and 1.68 (95% CI, 1.37-2.06) for the <7920 Gy subgroup. Sensitivity analysis that separated those in the radiotherapy group who received ADT from those who did not found that outcomes in both subgroups were not statistically different from prostatectomy. Another sensitivity analysis for the assessment of the interaction between comorbidity score and the treatment indicated that there was no statistically significant interaction between comorbidity score and treatment effect. Ennis RG, Hu L, Ryemon SN, et al Brachytherapy-based radiotherapy and radical prostatectomy are associated with similar survival in high-risk localized prostate cancer [published online February 28, 2018]. doi: 10.1200/JCO.2017.75.9134.